A gas powertrain is no longer the no-brainer decision, so here’s a look at the four basic types of powertrains—gas, diesel, hybrid, and electric—to help you decide which one’s best for you. Both gasoline and diesel are used to power internal combustion engines, igniting to create explosions inside the engine cylinders and ultimately turning your car’s wheels. A gas engine uses spark plugs to ignite the fuel. A diesel engine doesn’t need spark plugs, because diesel fuel is so combustible it ignites under the cylinder’s compression pressure. Engines like the diesel V6 found in the fifth-generation Land Rover Discovery tend to be more reliable than their gas counterparts for a couple of reasons. First, diesel engine parts need to be stronger than gas parts because compression ignition results in a more violent explosion than one caused by spark-plug ignition. And because the diesel engine doesn’t need a spark, it also doesn’t need spark plugs, which means a simpler engine with fewer parts that might need repair. Those heavy-duty diesel parts, however, cost and weigh more than gas parts, so vehicles with gas powertrains tend to be more affordable up front. Diesel fuel is also more expensive than regular gasoline, but it also produces more energy, which is why diesel vehicles typically return better mileage than gas vehicles. Taken as a whole, the cost at the pump ends up about even between gas and diesel powertrains, considering the cheaper cost of gas and the extra mileage from diesel. Diesel vehicles don’t sound the same as gas vehicles, but the days of ear-splitting diesel rumbles are gone. And the stinky black exhaust once associated with diesels? Also gone. Technological advancements in fuel additives and engine technology have taken care of all that. The other big difference between the two internal-combustion-engine choices is power. Diesel engines, particularly turbodiesels, generate more torque, which is the power needed for initial acceleration or to move heavy loads. Gas engines create more horsepower, which is needed to reach top speeds and accelerate at high speeds. Basically, if you need to haul a trailer loaded with lumber, you’ll want something like the Chevrolet Silverado 2500HD, which can produce 910 lb-ft of torque when equipped with the available 6.6-liter Duramax turbodiesel V8. 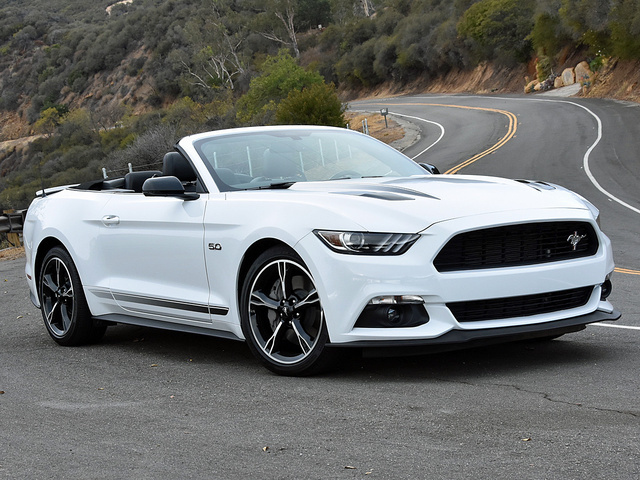 If you’re looking for a sporty ride, you’ll want something like the gas-powered Ford Mustang, which delivers 435 horsepower when equipped with a 5.0-liter V8. All hybrids use an internal combustion engine and at least one battery-powered electric motor to help move the wheels. How they replenish and save the energy in that battery varies from vehicle to vehicle, but there are some common technologies found in most hybrids. Regenerative braking captures the energy created from deceleration, and stop/start shuts down the engine when the car reaches a complete stop. Hybrid powertrains can be broken down into three subcategories: full, mild, and plug-in. Let’s start with full hybrids, which are generally the most fuel efficient. 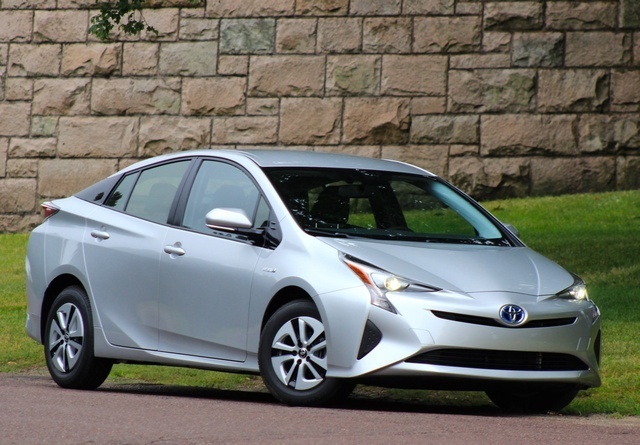 The Toyota Prius is an example of a full hybrid. This vehicle automatically switches between series mode, parallel mode, and all-electric mode. In series mode, the vehicle gets propelled only by the electric motor, while the gas engine simply serves as a power generator for that motor. In parallel mode, the electric motor and gas engine both drive the wheels. In all-electric mode, the gas engine gets completely shut down, and only the electric portion of the powertrain gets used. A mild hybrid, such as the Chevrolet Malibu Hybrid, is not as fuel efficient as a full hybrid, because it always operates in parallel mode. Finally, a plug-in hybrid is a vehicle that can be recharged by, you guessed it, plugging it into the grid. Most of these operate like a full hybrid, but they come with a larger battery pack and the ability to charge that big pack through a plug. Critics consider the Chevrolet Volt one of the top plug-in hybrids. Hybrids may be more expensive upon initial purchase, but they’ll definitely save you money on fuel in the long run. Hybrids are also much more eco-friendly than pure internal combustion engines, and they deliver a far quieter ride. They won’t accelerate or reach top speeds like gas-powered cars, so you’ll need to decide whether their increase in efficiency and decrease in emissions is worth that drop in performance. Electric vehicles, or EVs, don’t use an engine at all—they are powered purely by one or more electric motors. Limited range used to be the big drawback for electric vehicles, but ranges have increased in recent years. Electric vehicles with low ranges are clearly best used for local trips only—the Ford Focus Electric can go up to 100 miles before it runs out of juice, and the 2018 model update boosted the Nissan Leaf range to 150 miles on a charge. But there are also electric vehicles that can take you on a substantial road trip with just one charge—the Tesla Model S has a 335-mile range, and the Chevrolet Bolt EV has a range of 238 miles. 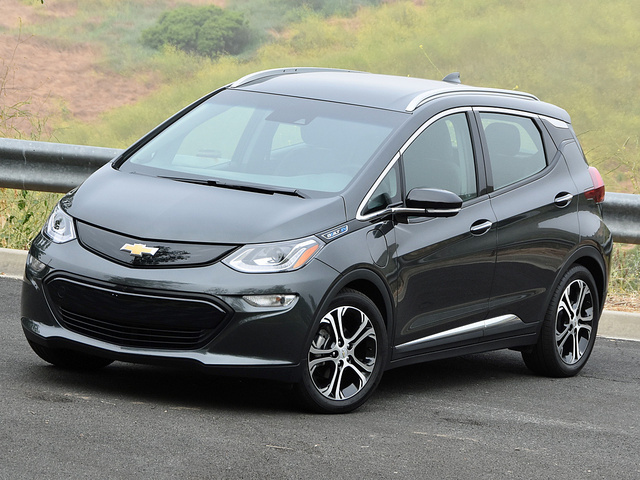 Another advantage of EVs is that an electric motor is dramatically more efficient than an internal combustion engine and its torque is available as soon as you press the accelerator. A gas or diesel engine relies on increasing revolutions and momentum to produce power and a transmission to deliver that power. The extreme example of this advantage is the Tesla Model S P100D, which can get from 0 to 60 mph in 2.5 seconds when properly equipped. Of course, some consumers may be more than willing to deal with range issues in exchange for burning no fossil fuels and producing zero emissions. And if you do buy an electric vehicle (or certain hybrids), you’ll be eligible for a federal tax credit. Some states also offer tax credits for electric and hybrid vehicles. This interactive map can help you find out what’s available in your state.